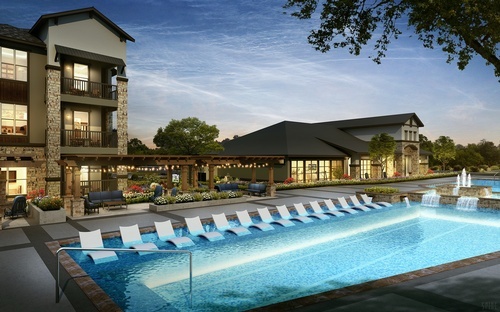 Auberge of Tyler will be a luxury Class-A apartment community located in Tyler, TX. The 234-unit community will feature best-in-class amenities including a saltwater pool with swim-up tanning ledges and cabana lounging areas with flat screen televisions. The clubhouse will be equipped with a state-of-the-art, 24-hour fitness center, yoga studio, indoor/outdoor resident lounge with party kitchen, resident coffee bar, and professional business center. Other amenities include 1 and 2 car direct-access garages, detached garages, carports, landscaped courtyards, 2 dog parks, fire pit, pond, outdoor jogging trails and outdoor grilling stations. Auberge of Tyler will offer a mix of spacious one, two and three-bedroom floor plans equipped with granite counter tops, wood plank flooring, stainless steel appliance packages, gourmet prep islands, king size walk in closets, designer cabinetry, nine-foot ceilings, private outdoor patios/balconies, modern two-inch blinds, washer/dryer, cable and high speed internet included and much more. 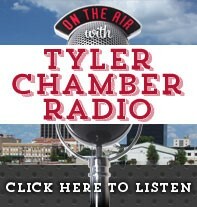 For leasing information, visit us online www.aubergeoftyler.com or call 903-405-4885 today!